Certificates are reports that explain the diamond in details. 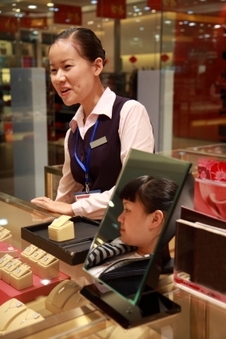 They give you the exact measurements, weight, details of cut and quality of the diamond. These certificates are issued by the Gemological Institute of America (GIA) and American Gem Society (AGS). Mostly loose diamonds are the ones that are certified by these institutions, however, other expensive diamond jewelry can be certified also. Other labs give certificates for diamonds as well but, some labs maybe a little more lenient with their standards than others. AGS and GIA are both the most widely recognized and regarded grading labs in the world. An appraisal is different from the certificate, it tells the buyer how much a diamond is worth, it gives you the monetary value of the diamond. When you shop for diamonds, the certificate helps you to make an informed decision about the diamonds you purchase and to compare various diamond merchants. 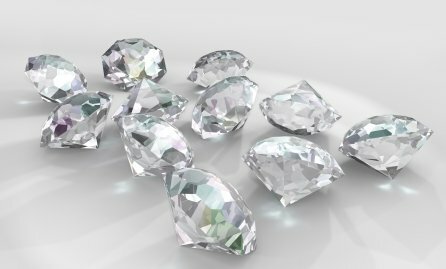 When buying certified loose diamonds online, there are various sites you can conveniently shop for diamonds at home, find unique diamonds selections, get great savings on the latest merchandise, you can discover the latest trends and styles. Internet shopping can be a valuable and informational resource for you. Also, you may want to ask a question about diamonds, you can call the online store's customer service. There is a phone number to customer service on the contact page of the store. New innovative styles of cut shapes for diamonds to match different styles and tastes such as, the flower, cloverleaf, kite and triangle shapes are coming to be the latest fashions for certified loose diamonds today. Synthetic or lab-created diamonds, look like real diamonds that you can buy at cheaper prices from well known and highly recommended diamond merchants. Everyone's favorite auction place on the web is Ebay. Certified loose diamonds and synthetic diamonds are bought and sold on Ebay. However, you are buying diamonds from the sellers, so, the above recommendations apply as well for purchases on Ebay.